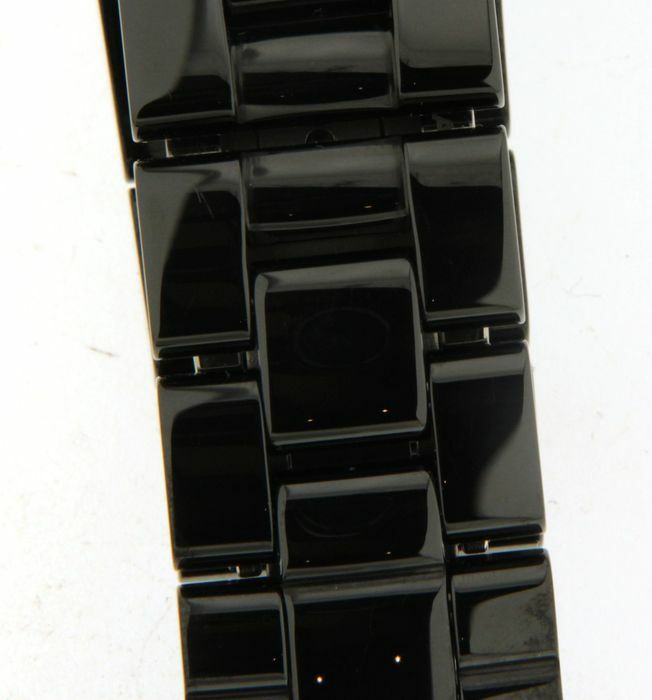 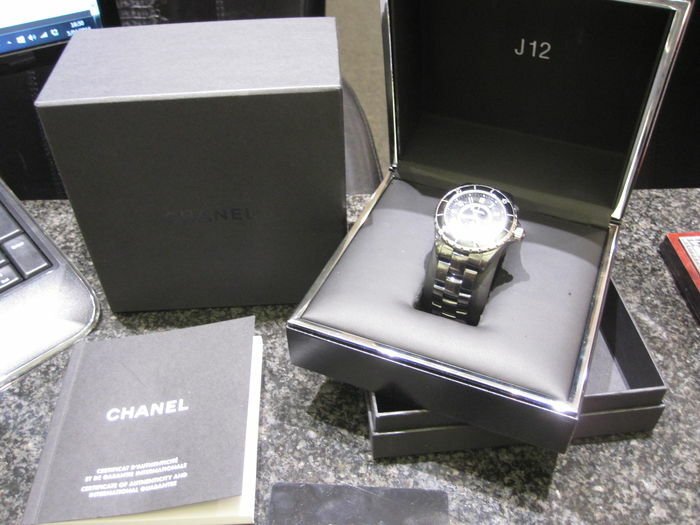 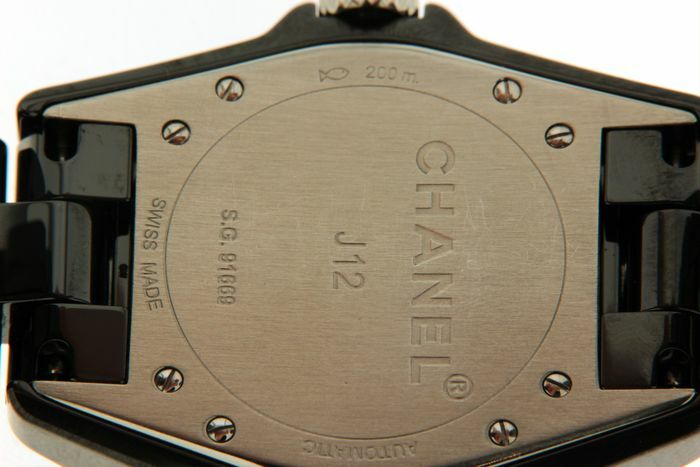 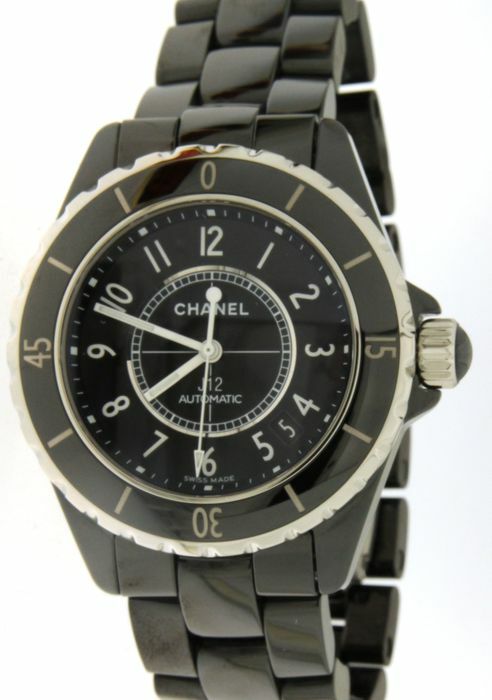 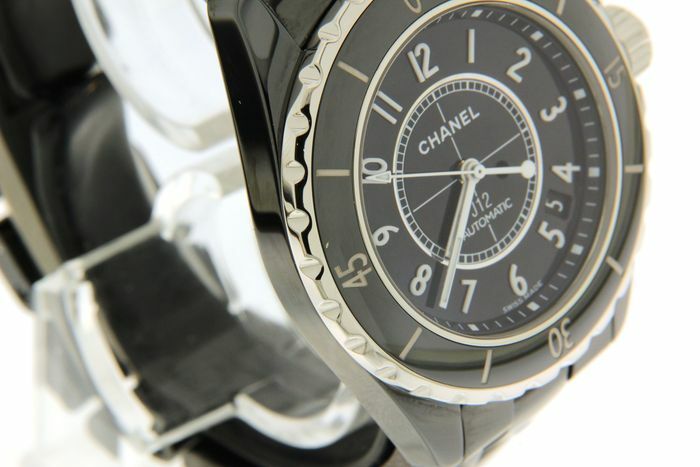 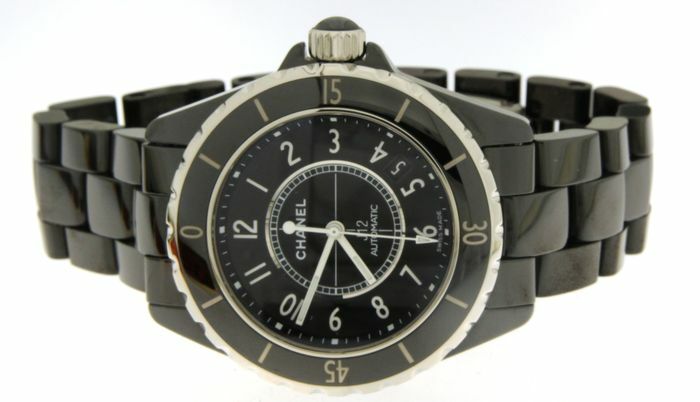 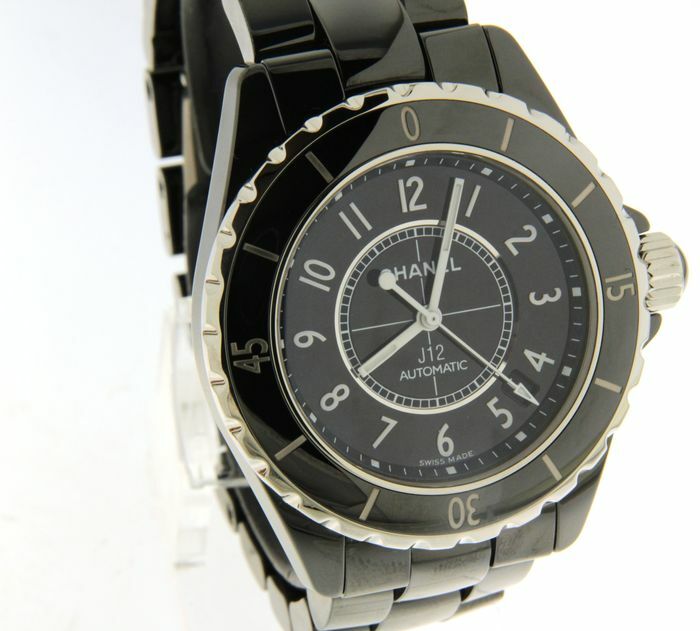 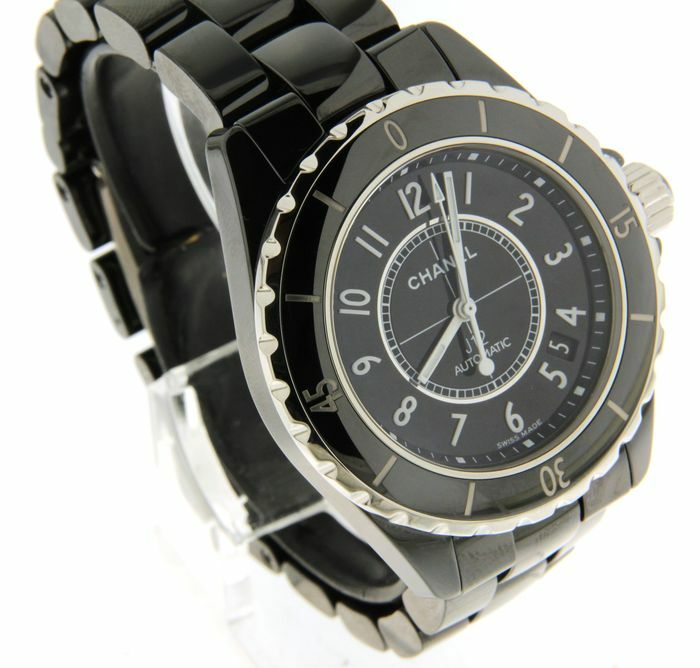 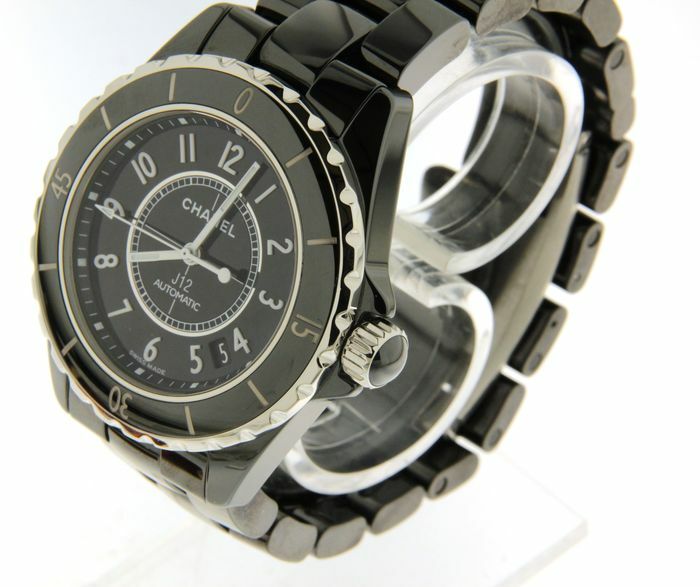 Elegant and stylish black ceramic Chanel J12 watch. 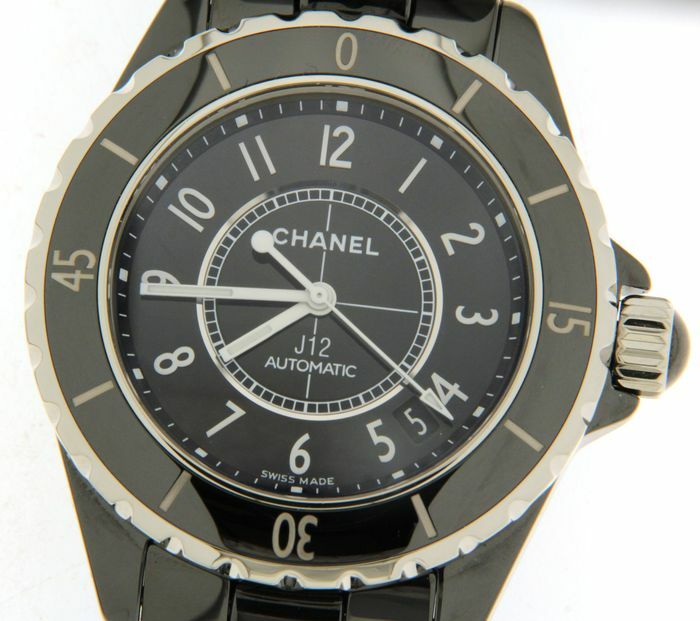 Functions: Hours , minutes , seconds and date. 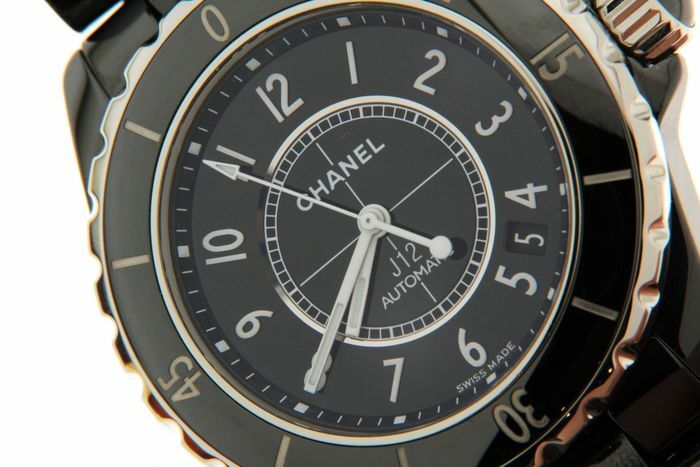 Dial: Black dial with white Roman numerals.